By Jon Greenberg on Friday, December 1st, 2017 at 10:00 a.m.
Update: In October 2018, Sen. Elizabeth Warren released a DNA report showing she has Native American ancestry. We asked four experts to review it. You can read our follow-up story here. Elizabeth Warren might never live down the charge of falsely claiming Native American roots. The controversy emerged during the Democrat’s successful Senate run in Massachusetts in 2012, and it continues to dog her. In the throes of the 2016 presidential race, then-candidate Donald Trump tagged her with the nickname Pocahontas, and he has trotted it out virtually every chance he gets — even at a White House ceremony to recognize Native American soldiers who fought in some of the fiercest battles of World War II. Warren’s heritage wasn’t something she brought up during her 2012 Senate race against Republican Scott Brown. The questions started with a Boston Herald story on April 27, 2012. "Elizabeth Warren’s avowed Native American heritage — which the candidate rarely if ever discusses on the campaign trail — was once touted by embattled Harvard Law School officials who cited her claim as proof of their faculty’s diversity," the article began. What the article revealed dated back more than a decade to diversity records kept by Harvard. At a time when law schools faced public pressure to show greater ethnic diversity within their faculty, the university’s Crimson newspaper quoted a law school spokesman in 1996 saying Warren was Native American. 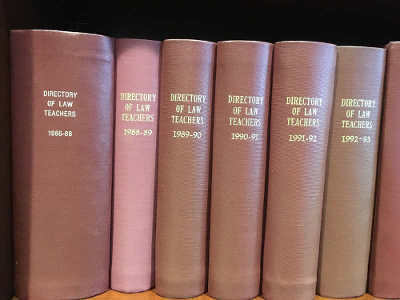 The Boston Globe followed the Herald with a report that the Association of American Law Schools listed Warren as a minority law teacher each year from 1986 to 1994. In that time, Warren went from being a law professor at the University of Texas, to the University of Pennsylvania, and finally in 1995 to Harvard University. That association received faculty lists from law schools and sent personal profile forms to new faculty members. The group first asked about minority status in 1986. The directories don’t indicate which minority group the person belonged to, so it would not be obvious to schools or other readers that Warren was thinking of her Native American roots. It’s not certain that the directory form gave Warren the option to identify as Native American. All we know for sure is that the directory listed law school faculty who self-identified as minority. Given the association’s process of sending the form to new faculty, it is possible that Warren filled out that form three times: once in 1986 when she was at the University of Texas, in 1987 when she moved to the University of Pennsylvania, and a third time when she spent a year as visiting faculty at Harvard in 1992. In 1995, when she moved to Harvard, she no longer appears in the minority teacher list. Warren’s campaign team could never uncover any documents that confirmed Native American heritage in her family. The New England Historic Genealogical Society also could not find any. Warren’s ultimate explanation was she was drawing on family stories. Warren’s extended family offered a mixed take on those stories to Boston Globe reporters. Gloria Wysong, a cousin, said that her mother told her that the family's heritage "was Delaware, but the Delaware and Cherokee merged together." But other cousins had no such memories. The main takeaway from the Globe’s reporting was that many who had Native American ties hid them, and documentation at the turn of the last century was spotty. In any event, any ties were so distant that they would not qualify her as minority by any official yardstick. Warren herself didn’t trumpet this side of her family story. When applying to college and law school, records show that she either identified as white or declined to apply based on minority status. Warren’s opponent Scott Brown jumped on the revelations and called on her to apologize for Harvard having touted her dubious ethnic roots. Brown also said she had used an invented minority status to make herself more attractive to law schools. Warren refused to apologize, saying she didn’t know Harvard was promoting her that way. She did confirm, however, that she had told the law school association that she held a minority status. 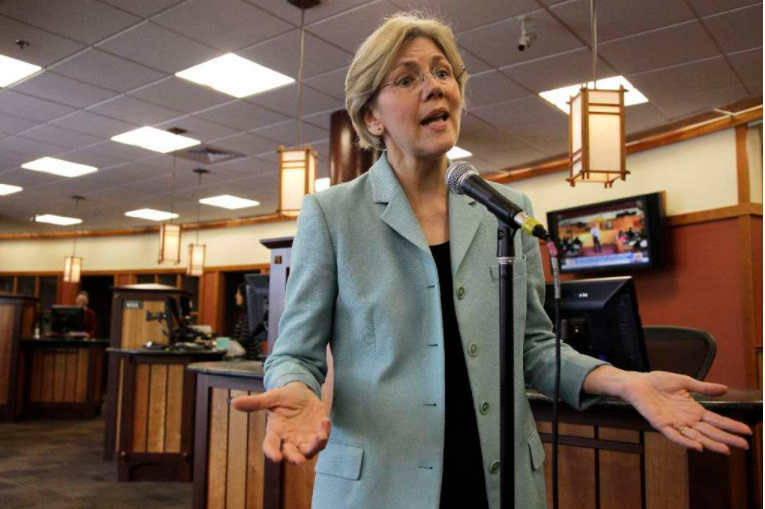 "I listed myself (in the) directory in the hopes that might mean that I would be invited to a luncheon, a group something, with people who are like I am," Warren told reporters May 3, 2012. "Nothing like that ever happened. That was absolutely not the use for it and so I stopped checking it off." Warren rejected the idea that her ethnic status helped her law school appointments. Several people involved in hiring her at Harvard and the University of Pennsylvania lent their weight to that claim. That hasn’t moved her critics, including a biting op-ed in the conservative National Review, but even that article acknowledged hard proof of favoritism is lacking. Warren initially said she didn’t remember listing her Native American background during the hiring process for either job. About a month after the controversy hit, she tweaked that to say she told them after the fact. Typically, Warren would have filled out forms for tracking faculty diversity. The Boston Globe found that Harvard reported one Native American teacher when Warren was there as a visiting professor, then again when she joined the permanent faculty. The University of Pennsylvania had similar reports. Neither the schools nor Warren have opened up the personnel files that might add more details. The final snippet of Warren’s tribal tale is trivial but has delighted her critics to no end. Warren sent five, and under each one, listed herself as Elizabeth Warren, Cherokee. Given that a cousin asked her to participate, this might lend credence to the notion that at least among her family, a tribal connection was taken for granted. But it didn’t help that her recipes included one for crab with mayonnaise and another for herbed tomatoes — hardly traditional fare. And to make matters worse, some of the recipes appear to have been copied from the New York Times wire service.